Lovely apartment for family, couples, friends, business travelers... 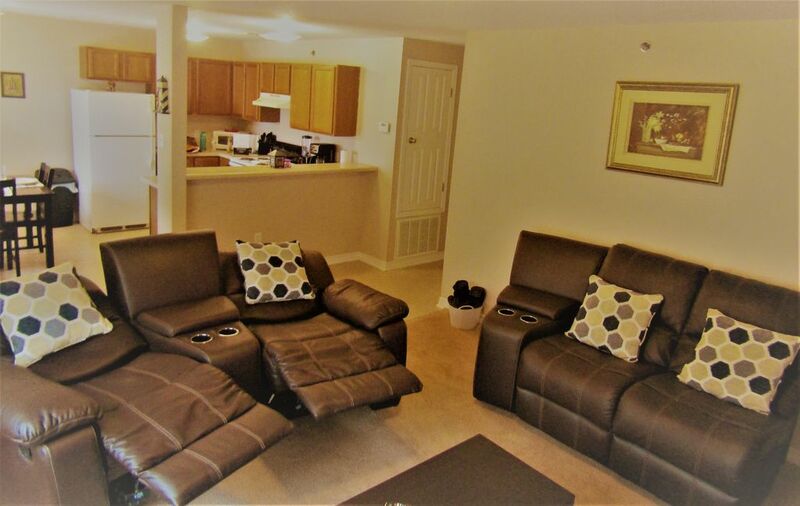 The condominium is at great location, 5 minutes walking to the Biloxi Beach, close to KAFB, Coliseum, restaurants, fast foods, gas station, grocery store, recreation, fishing, and entertainments. The closest casino is only 2 minutes driving. The apartment is spotless clean, neighbors are quite, pleasant and friendly. Perfect for your vacation. I did love my stay. The apartment was very clean. My guest and I were very pleased. The neighborhood was quite & the people were very friendly. The home was easy to find. Kept very tidy with lots of room. This is a mixed review. The apartment was overall clean and the beds were comfy. The neighbors below us were nice and offered that we could ask for help at any time. Our disappointment was: first, we think the term condo needs to be taken out of the description. It’s an older apartment complex and not at all a condo. The area is sketchy and not anywhere we would normally stay. I asked for the complex name before renting and was told we couldn’t know until we rented. It’s our fault because we took the chance. But later we got to thinking we often go to VRBO looking up specific condo names and are able to find them. This totally should’ve been a red flag. There are no reviews and I was told it was a new listing. However, the lady below us said there’s always people staying there. So, if you’re looking for an inexpensive place to stay and clean, it’s good. But just know the area you are going into is not good especially compared to all the other rentals available. *The neighborhood is super quiet and friendly. * For security reasons, we never share specific information of the apartment before booking, because we receive many questions that are SPAM through Homeaway/VRBO! * The apartment has more time on other rental platforms with good reviews. You were the first guest through VRBO! Thanks!